Take Flight Education – Bring the magic of the natural world into the classroom. Bring the magic of the natural world into your classroom. You get The Creative Classroom Kit with a license to create unlimited worksheet copies. No other copying is permitted. You get The Creative Classroom Kit with a license to create unlimited worksheet copies and up to three copies of the other materials. You get The Creative Classroom Kit with a license to create unlimited worksheet copies and unlimited copies of the other materials. 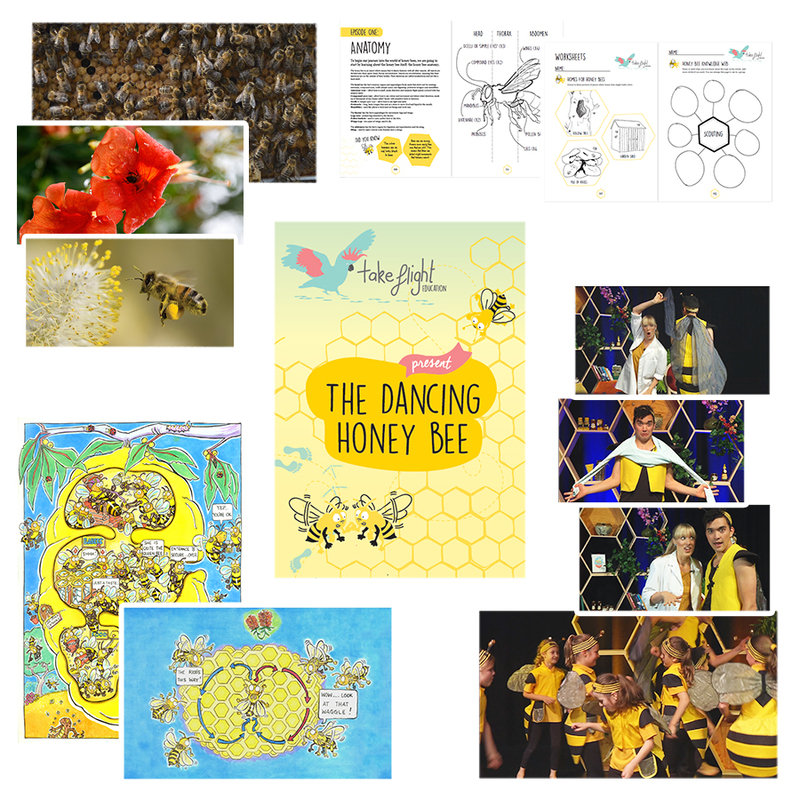 We present the world of bees in a fun comedic style, before switching to a simple instructional format to assist teachers with the dances. We’ve designed 20 worksheets to enrich the information discovered in each episode. 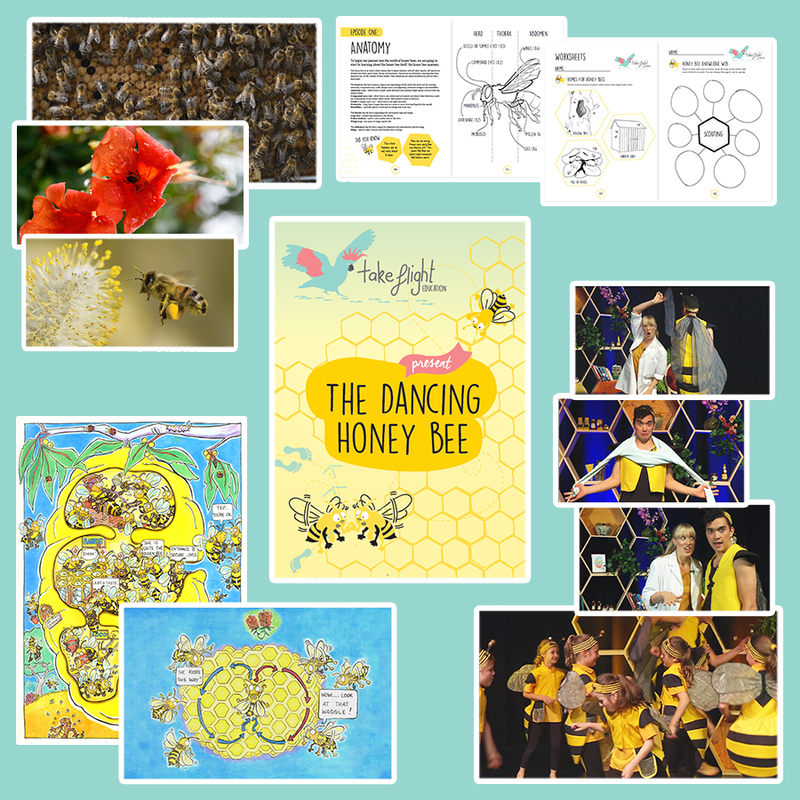 A few examples include, knowledge webs, colouring-in activities and bee anatomy cut and paste activities! Each video episode is accompanied by classroom activities (13 in total), which include creating costumes, roleplaying and dance games and an educational video game. A 98-page printed book (also provided digitally), which lays out the science of each episode in a simple, easy to pick up format. Transport your classroom into the world of bees with thirteen original tracks, each themed around a part of bee life, composed by two award winning ACT composers. 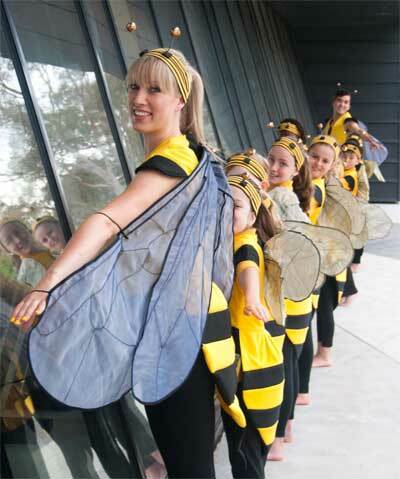 Children are guided through fourteen original dances, which give them the opportunity to roleplay the process of making honey, pollinating, guarding the hive and lots more! Nine digital posters are included, with high resolution photographs of real honey bees and three original illustrations by artist Andrew Hore. Take Flight’s Creative Classroom Kits are based on a successful program that has been run in over one hundred schools and centres within the ACT in the last ten years. While developing the Kits, we worked with Jill Buscombe, a Sustainable Schools Coordinator, co-author of the Aboriginal Natural Resource Management Curriculum Program and consultant on the Australian Curriculum. She ensured that the eight-episode learning module has been comprehensively linked to the Australian Curriculum. She also developed a handy guide that details the Kits’ curriculum links. Click below to see a summarised version. 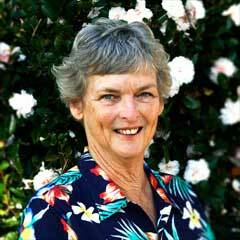 Sue created two award winning stage shows for CSIRO and the GBRMPA, developed two ballet schools and pioneered creative education with DanceKids. 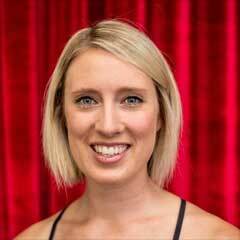 Emily is a qualified dance educator, choreographer and performer. She is dedicated to making and sharing dance that ignites creativity, good health, connection and joy. Maris, who by day is in Australia’s Foreign Service, brings passion and experience in environmental education and youth leadership to Take Flight. 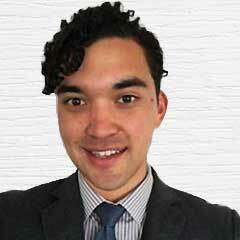 Peter is an award-winning game developer and published creative writer. 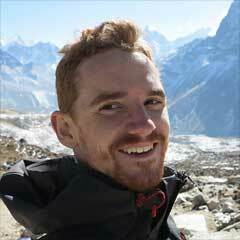 He aims to build projects and companies that have a positive impact on people’s lives. Subscribe to the Take Flight Newsletter!